wheremmsgather: Dirty + Sister = Dirty Sister! CAN....YOU.....HEAR.....ME......SCREEEEEEEAMING!!! I can officially tell you now that I've joined the dirt pile with all of the other dirty girls on Splitcoaststampers (SCS)!!! Whew! What a relief to finally let that secret out!! I'm good at keeping secrets, but this one was a real toughie for me. I am so honored and thrilled to have been asked by Lydia, the SCS Community Manager, this join this team of talented stampers whom I've personally admired for so long. It almost feels surreal for me to be typing this, but the proof is in the puddin', as they say. If you are a Fan Club member on Splitcoaststampers , you'll be able to view the entire Dirty Dozen gallery. I'd also like to congratulate my fellow dirty sister, Jessica Diedrich, on jumping into the dirt pile with me!!! 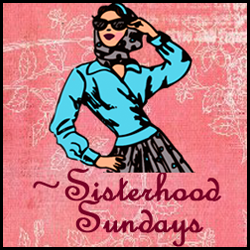 WAIT, don't leave just yet....because it's also SISTERHOOD SUNDAY for Rubbernecker Stamps!! and we have a different sketch challenge for you to try! With all the cold and snow here in Michigan, I needed to use some pretty Spring colors. I stamped the flowers with versamark, clear embossed them, and then sponged the various colors. I used my markers to add a deeper color to the flowers and stems/leaves. Pop on over to the Stampin Sisterhood blog to see the designs my sisters made, get the challenge details, and find out how you can win a prize! what bright and colorful flowers Charlene - a nice touch of sunshine on a cold day! Kent and I are visiting in VT and it was 8 below this morning with 3 ft of snow on the ground! SO awesome, Charlene!!!! I am so happy for you and glad to see you in the Dirty Dozen. Your work is always a joy and an inspiration. Hey, congratulations Charlene!!! Way to go. DH came up to watch a movie about 5 minutes before the reveal, so I missed it on the hour. Charlene!! I am SO happy for you!! WOW!! Congrats on being Dirty!1 About time! Oh..and I really like your sweet card! Charlene, I already thought you WERE a Dirty girl! I guess it must be all of your beautiful creations. Congratulations on being chosen! Your card is so colorful. Love the black that makes it POP. Congratulations, Charlene! I am looking forward to seeing your work in the DD gallery. You are so deserving! 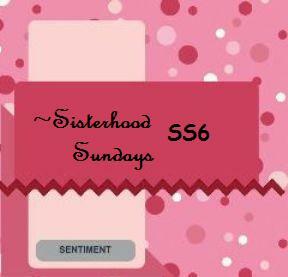 Loving the colors on your card for the Sisterhood challenge. Neat combination of designs and patterns. This is wonderful news and well-deserved. Will be looking forward to all your wonderful additions to the gallery. Congrats on the DD, Charlene!! This card is so springy, it is perfect for this cold weather! Great take on the challenge! Wooooot!!!!!!! I am screaming, too!!!!!! I am sooo excited for you, gf....you are sooo deserving. I tell ya!!!!! You dirty, dirty, girl!!!!!! Oh, btw, love your card...the panel with the flowers is sooo pretty and I love the bright, happy colors!!!! A lovely, fresh card Charlene! A BIG congrats on being a dirty girl!!! Congratulations, Charlene! Nobody deserves a place on the dirt pile more than you! Love your card!! Your card is teriffic! Love the bright colors!! A HUGE BIG HAPPY CONGRATULATIONS!!!! You so deserve it, Sister Friend.